Scared by looming U.S. anti-cartel legislation for the oil industry, the Organization for the Petroleum Exporting Countries and its allies such as Russia have decided against creating a formal body, at least on paper, Trend reports referring to Reuters. A draft of a document - setting up a new alliance and dated January 2019 - and seen by Reuters carefully avoids any mention of sensitive issues such as oil prices, market share and production cuts. OPEC and Russia have been cutting production together to support prices since 2017, after clinching a deal in December 2016, in moves that have provoked criticism from U.S. President Donald Trump. A committee of the U.S. Congress passed legislation, known as the No Oil Producing and Exporting Cartels Act, or NOPEC, last week. The draft says OPEC and Russia will discuss creating “a mechanism” rather than “an organization” when they meet in April 17-18 in Vienna, calling for the creation of an “Alliance of Oil Producing Countries”. Russia’s energy ministry declined to comment. Russia is not an OPEC member and has said it does intend to join the organization on a permanent basis. OPEC and Russia jointly produce more than 40 percent of the world’s oil. 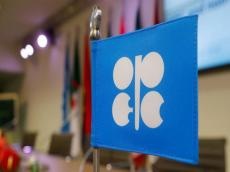 The idea of an organization of OPEC and non-OPEC countries has been mooted since joint efforts to stabilize oil prices have come to fruition. Russian Energy Minister Alexander Novak said in December a joint OPEC and non-OPEC structure seemed unlikely due the additional red tape it would create as well as the risk of U.S. monopoly-related sanctions.